I have yet to meet a single student at Saint Mark’s that has never crammed for an exam. They fill up their brain temporarily with information for an upcoming test in a vain attempt to not fall flat on their face the next day during their test. To be honest, it sometimes “works”, as defined by a good score, and I can speak from experience in this area. However, that doesn’t mean cramming is effective. It is the result of disengaged students and ineffective teaching methods that culminates in temporary information retention, and over the long run the crammed information isn’t retained. Therefore, no valuable learning takes place. Before going into the topic of teaching and cramming, I would first like to explain how our brains retain information to the best of current knowledge. Our brains are made up of approximately one hundred billion neurons. Neurons are the information processing cells in our body. 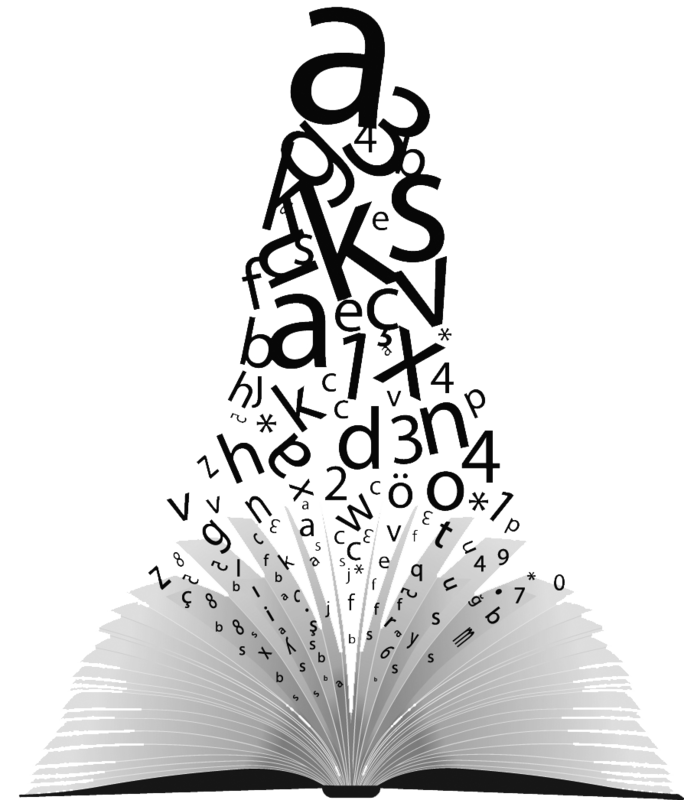 They are responsible for the ability to read the words on this page, breathe, and all thoughts and emotions, to name a few functions. Neurons function by creating and transmitting electrical pulses. 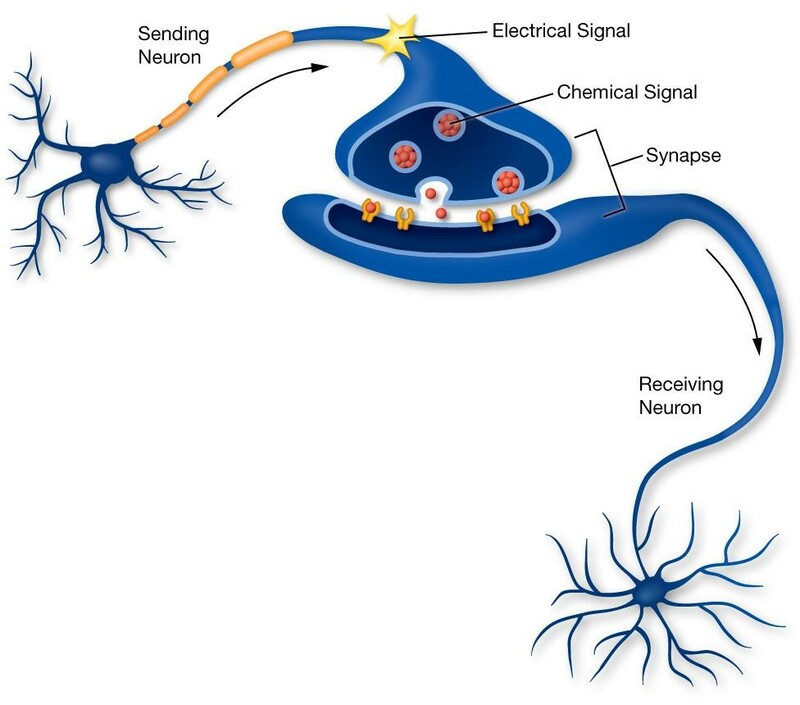 When a neuron is stimulated, it sends an action potential, which can be thought of as an electrical pulse, down its axon where the electrical pulse is transmitted to a receiving neuron at a specific location on the cell called a synapse. The neuron that sent the signal is referred to as the presynaptic neuron, and the neuron that receives the signal is referred to as the postsynaptic neuron. It appears that chemicals released in stimulated synapses in the postsynaptic neuron are responsible for forming associations and strengthening certain synaptic circuits, which in turn seem to lead to memory. Glutamate, one of the main neurotransmitters in neurons, is released when the electrical signal from the presynaptic neuron stimulates the postsynaptic neuron at a synapse. Glutamate binds to two different receptors, AMPA and NMDA. When glutamate attaches to an AMPA receptor, calcium ions flow into the synapse, triggering the neuron receiving the electrical signal to fire, thus continuing the circuit of neurons. On the other hand, NMDA receptors are triggered after AMPA receptors and appear to be responsible for creating stronger associations between neurons. When glutamate activates these receptors, it triggers a series of chemical signals inside the postsynaptic cell which results in more receptors being made in the postsynaptic cell for increased connection strength, and the axon of the presynaptic neuron also forms new branches that connect to other synapses on the same postsynaptic cell. The combination of these two events creates a strong signal between the two neurons, and is the result of repeated “useful” stimulation of neurons that the brain recognizes as important. If associations between neurons are formed as our brains learn new material but aren’t repeatedly used, those connections will eventually disappear in favor of high use neurological pathways. Approximately twelve percent of all our energy is spent so that our neurons can constantly fire, so it would be foolish to waste energy keeping connections that are no longer used. This is why we forget information. So, how does all of this apply to a classroom setting? In order to form solid lasting connections, the new information needs to be taught over time so that our brains can internalize it and apply it to new situations. So, when the lesson is engaging, it’s no surprise that the information is much more likely to be retained, and my personal experience verifies this. For example, labs in science classes are an excellent way of ensuring retention. Students can learn the new material and then apply what they learned in class, strengthening the connections by seeing the material being applied to scenarios that exist outside of a textbook or handout. Additionally, if the new material being introduced builds off of the previous work, then the synaptic connections needed for the original material are used, keeping the memory of learning intact. My inspiration for writing this piece came from a disastrous precalculus assessment: the cumulative test, which covered material from the whole year. Despite the studying that I did, when I sat down to take the exam, I felt lost. In the time that I had spent reviewing material, I felt like I was attempting to relearn everything from this past year. I floundered through the test and came out at the end of an hour feeling rather distraught. Why had this happened? Why didn’t I remember so much of the material I was supposed to have retained? Why didn’t cramming facts, formulas, and concepts into my brain in the short time I had before the test adequately prepare me either? As it turns out, it’s partly due to how our brains work. However, I am in no way free of the responsibility of my grade because of the way our brains work. 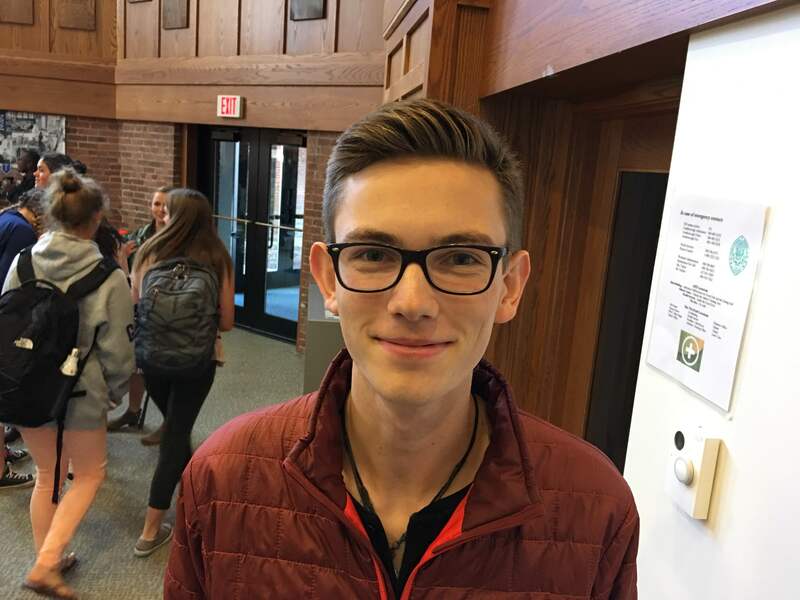 I merely wanted to change something rather negative into a learning experience that I could share with the Saint Mark’s community, and hopefully provide some feedback from a student’s perspective on what works and does not work in a learning environment, along with scientific backing of my observations. The research I have done on learning generally points to the same conclusion: new information is retained when practiced over time, and skills are developed by building off of previously learned information. My studio art serves as an example. I have been taking studio classes since my freshman year. I came into Saint Mark’s not really knowing how to properly draw, and I essentially had to learn the skills and technique from scratch. The class started with simple black and white pen drawings on paper, learning the basic concepts of line, shadow, and form. Our class practiced consistently until our skills were sufficiently developed to move onto the next medium. By the end of my freshman year, I had learned all the basic principles of observation and making art from life. Taking those skills I had learned in Studio I, I was tasked to apply them with more creative concepts in Studio II, but with enough structure and guidance so I could hone my skill and learn how to develop my own voice. Every single pencil stroke built off of the foundational skills I learned the year before. I expanded my vocabulary of styles by being creative and taking risks. By the end of Studio II, I was starting to find an artistic voice. In Advanced Studio this year, I had been given free reign over my assignments. This entire year has been spent building up a portfolio of work that reflects my own voice, style, and interests in art. Every time I set out to start a new piece, I get to build on everything I had done before it. During projects in Advanced Studio, I recall what works and what doesn’t. Furthermore, I consistently practice by doing a piece almost every week. This process culminates in some of the most satisfying work I’ve ever done. All the neurological pathways created in Studio I are employed as I retrieve muscle and cognitive memory each day I go into class. Studio art is a perfect candidate for seeing learning develop over time because at the core, visual artists use the same techniques every time they work but with their own unique style. If the studio class had been lecture based, it would be incredibly difficult to suddenly make an art piece that incorporates skills we had not consistently practiced. If I tried to suddenly cram all the information about line, shading, and other techniques into my head just days before we were asked to make one final drawing, I might come up with something passable and mediocre, but it would be nothing compared to a final piece completed after a year of practice and hard work. This same logic applies to all subjects of learning though, not just art and other areas that require motor and cognitive skills: The same neurological structure still holds. My math class was not continuously tested to build off of the previous topics we had learned, or even quizzed for the sake of reminding us what we had learned and getting our brains to retrieve the information. The way I felt coming into that final test was like an artist being told he needed to use skills and techniques he had merely tried once and never used again. Each unit was taught like an island of information; we hopped from topic to topic without building off of what we had previously learned, and I forgot much of what was taught to me that year. I wasn’t recalling the information, so the neurological connections I had established when I was learning new topics were not being continuously used, so those synaptic connections weren’t strong. This is why I propose we teach school like art class. Imagine the results we would see if students were creatively engaged in all of their subjects. Returning to math, for example, we had an assignment at the end of the year in which we were required to find functions we learned in class in the real world and document them. A tree branch became a quadratic function, and a car mirror became a logarithmic graph. This was a unique and fun way to recall previously learned information, and it was very helpful in visualizing these functions. If we had fun, small assignments dispersed throughout our curriculum that prompted us to apply previously learned knowledge over time, students’ level of engagement and learning would be much higher. Additionally, the stress and hectic race to cram all the year’s information into our brains at exam time would drastically decrease or disappear. As both teachers and students, I hope we can learn from ourselves, our brains, and about effective education practices as we continue to grow and learn at Saint Mark’s. Gabe Brower is a VI Former from Natick, Massachusetts. He loves making art, spending time in the outdoors, and is a minimalist. LeDoux, Joseph. The Synaptic Self. New York City: Penguin Group, 2002. Print. Brown, Peter C., Henry L. Roediger, III, and Mark A. McDaniel. Making It Stick. Cambridge Massachusetts: Harvard U, 2014. Print. Two Neurons Communicating. Learn Genetics. U of Utah, n.d. Web. 27 May 2016.